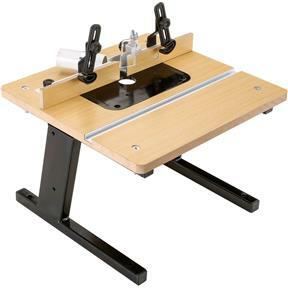 This Mini Router Table is ideal for those jobs that require a higher level of accuracy and control over a hand-held router, especially with smaller sized workpieces. 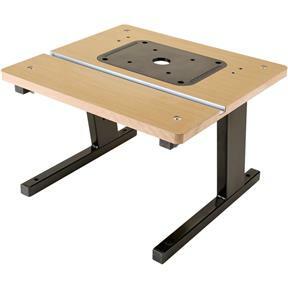 With a table height of 11-1/2" it will accept most full-sized routers, yet still allow a comfortable work height above your bench. Other features include an adjustable fence with hold-downs, featherboard, miter gauge, and 1-1/2" dust port. 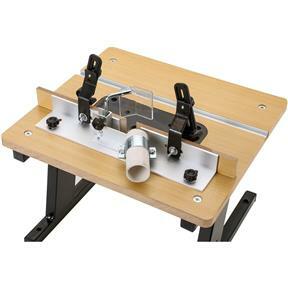 Take your router operations to a higher level with this mini router table! Table size is 17" x 16"
Minimum guard gap is 1/2"
Used this table to make cabinet doors and it worked just fine. Great value for money, looking forward to using it in anger. This is a good router table for its price. Easy to assemble and can mount a lot of different size routers. The one complaint I have is the fence is made of flemzy material and it broke. I replaced it with one I made out of plywood, so there was. I need to return it or order a part, but would have liked for the original fence to last longer than a day. I also advise new owners to take precaution when drilling holes to mount the router the plastic plate that the router mounts to chips easily. 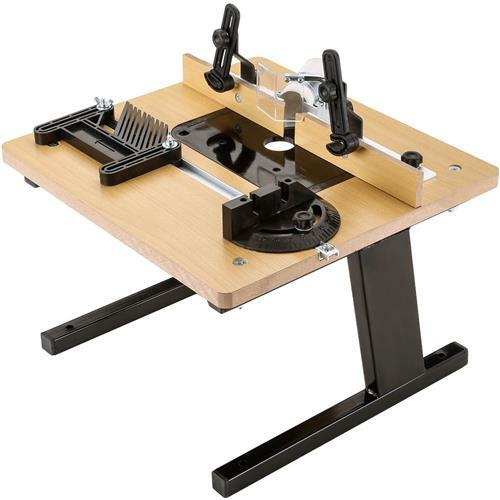 Recommend if your new to router tables. It would be better if each side could be adjusted separately. I bought this to add to my little hobby shop with limited space. I have two routers and I am able to fit either of them. I have tried using this router table to cut a few test jobs and everything went well. I think I have a great tool now. Next is to plan some serious work.